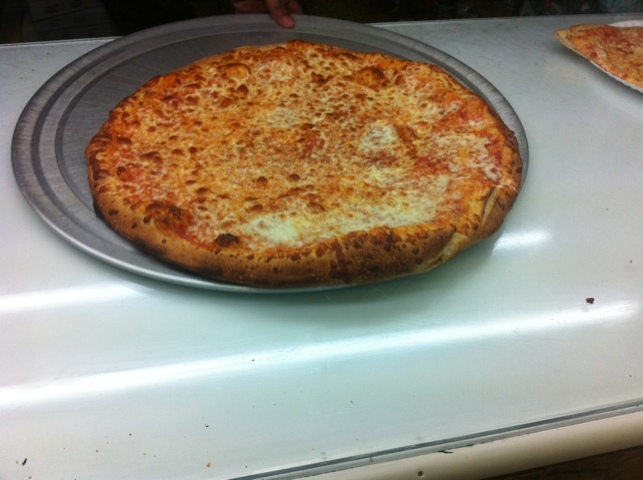 Earlier in this blog I made note of the Midtown pizza price wars between 99 cent pizza and Ray’s between 53rd and 54th on Broadway. As you can see in my comment to Midtown Lunch, I am not a fan of the Ray’s slice. The pies usually don't linger. 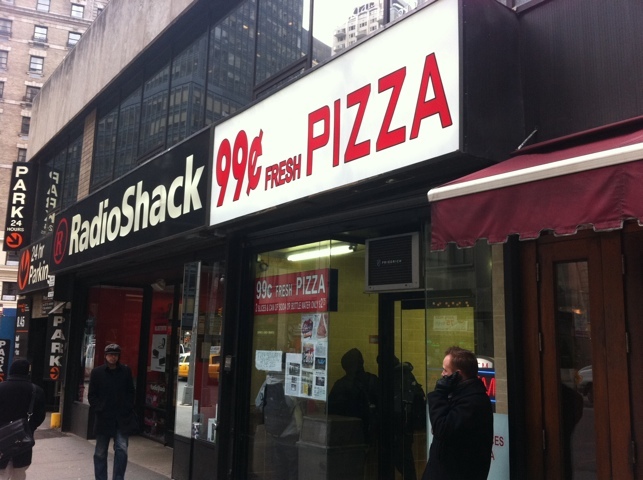 So how is the 99 cent slice? The considerably better of the two. First of all, it has a thin crust. Since the slices – at least around lunchtime – are perpetually flying out of the oven – there’s a very good chance you’re going to get yours served piping hot. There’s a reasonable shot at least part of that thin crust it will be nice and crispy. The slices themselves. Not bad looking, eh? Eating it hot makes up for some of its deficiencies in flavor. At least it’s toasty. The slices are a bit smaller than most that you’d get, though. Flavor-wise, it’s not bad. 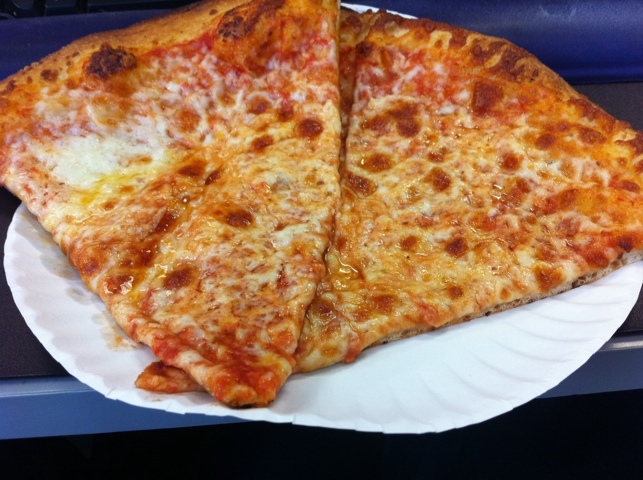 It’s not particularly good – for my favorite slice in town, see Sal & Carmine’s – but at least one can pick up a cheese flavor, even if it is slightly salty. As far as flavor goes, it is on par with most slices in town, more or less. That has the effect of making it a deal: it’s what you (unfortunately) come to expect from most pizza joints while being considerably cheaper. You don’t feel ripped off.